Organizing a successful open house can draw a large number of potential buyers into your home at one showing. Getting them to show up will take plenty of preparation, though. Preparation includes serious marketing strategies— online and off, some home staging, creating detailed flyers for visitors, placing signs and finding the perfect person to host the event for you. Prepping your home for the occasion is one of the most important steps of organizing a successful open house. You’re asking the public to look at your house, so it needs to shine! An open house that works will require some home staging to make it stand out among others in your area. Home staging includes decluttering, depersonalizing, making necessary repairs, cleaning until your home sparkles, and lastly, arranging furniture and accessories to highlight the best features of your home. Curb appeal is part of home staging, as well. The first impressions that house hunters get of your home are critical. This is the moment where buyers decide whether to go inside or drive on by! The time and money that you spend on home staging will yield you a higher return when you sell your home. Other than listing your home at a competitive price, the only tool within your control for making your home stand out from all the others is to show it in tip-top shape! A beautifully staged home will get you higher offers. Cluttered, dirty, rundown homes will get you lowball offers, if any at all. Most homeowners trying to sell their own house will overprice it. Doing so usually results in the house lingering on the real estate market way too long. When that happens, it develops a stigma, and buyers begin to wonder what’s wrong it! Marketing your home competitively will result in a faster sale. To be safe, ask a real estate agent to do a CMA (comparative market value) on your home. This doesn’t cost anything, (at least where I live) because the agent is hoping to get your business. Be sure that your home is in tip top shape before the realtor does a walk-through, though. The condition of your home will be reflected in the price. Attend open houses in your neighborhood and nearby surrounding areas. Talk to the real estate agents to find out what buyers are looking for. Note how the homes are staged. Interested buyers will want to know the details of your property. You'll want to hand out flyers to everyone as they enter the home. For examples of real estate flyers, visit Trulia.com, Zillow.com, Realtor.com, or your local MLS (multiple listing service) to see how they format property details. Use this FREE real estate flyer template for the flyer above. A notebook filled with the following documents should be available for interested buyers to browse through. Don’t worry if you don’t include all of them— this is just a guideline. Insert your documents into plastic sleeves for a professional look. See if your local lender will provide you with brochures for possible loan situations. Having this information handy allows visitors to take something home with them. Most of these documents can be found on your borough/county website. Look under “My Property,” “Platting,” etc. Blank forms for "property disclosure statements" can be found online. The property detail sheet you created. A “Bill of sale”. A “Bill of Sale” describes all fixtures, but not limited to: plumbing, lighting, lighting, blinds and drapes, washer and dryer, etc., that will be included in the home sale. An “As-Built Survey”. An “As-Built Survey” is a recording of existing conditions. 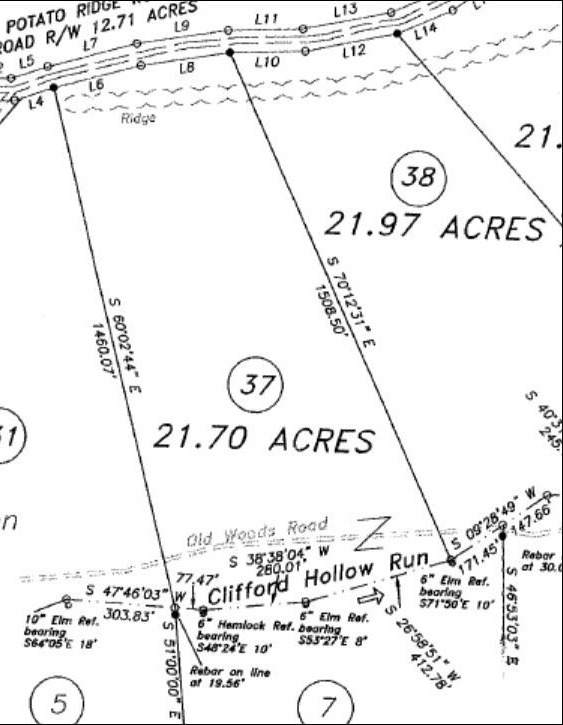 This map shows the property setbacks, boundary lines, well and septic locations, covenants, etc. Plat of the property. A Plat is a survey of your land that identifies boundaries, easements, flood zones, roadway, and access rights of way. It’s the legal description of your property. Property disclosure statement. A residential “Real Property Transfer Disclosure Statement” is a “faith based” document including the seller’s information about the property; it describes property features, structural components, problems, improvements, maintenance, and so on. 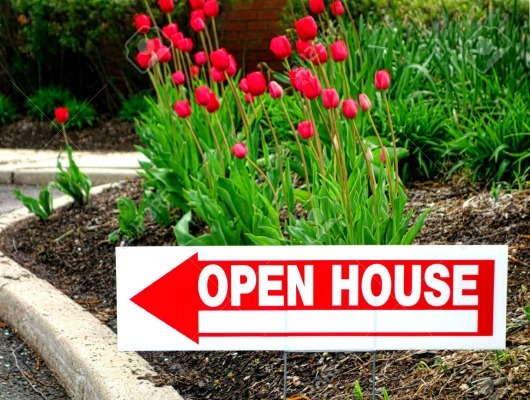 Most open houses take place on Saturdays and Sundays, from 1:00 to 3:00 p.m. or from 2:00 to 4:00 p.m. You might get more traffic if you choose a time when people aren’t busy touring other homes, like from 3:00 to 5:00 p.m.
Signs! 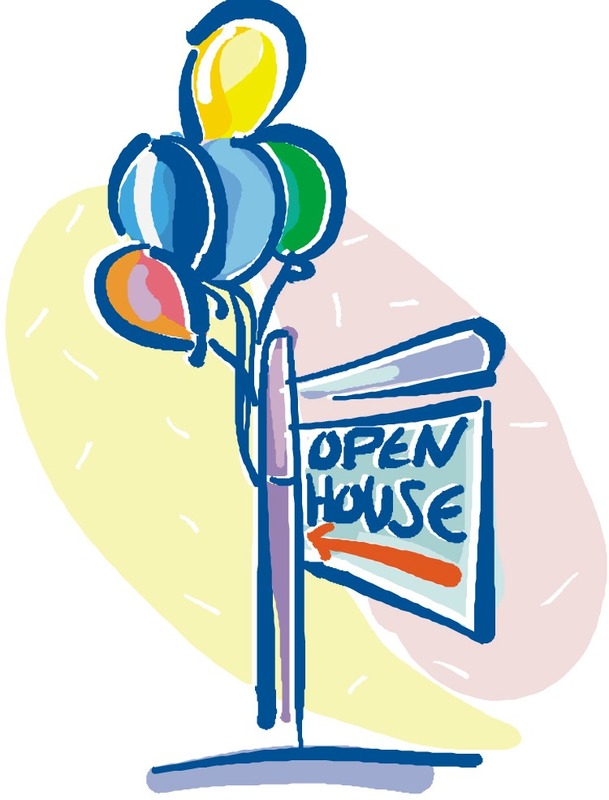 Signs are critical to organizing a successful open house. Be sure to have plenty of them. Place a professional "for sale" sign in your front yard. Place signs at the closest busy streets or intersections and at every corner leading to your house. Tie balloons on your signs to get them noticed! 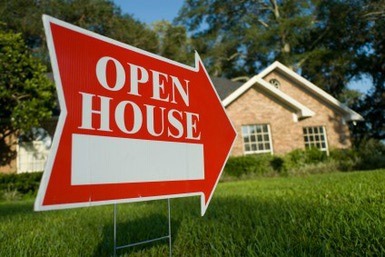 Open house signs will also attract people who just happen to be driving by doing something else. Spread the word. Tell all your friends, relatives, co-workers and neighbors. Use email, send out postcards, text or phone. Use social networks, like Facebook, Twitter and Instagram. Take advantage of community bulletin boards, your church, schools, community clubs, etc. Post your flyers on public bulletin boards at your workplace (ask for permission first) grocery store and your local mall. Free online advertising sites, like craigslist.com. Or, advertise on the FSBO website in your area, nextdoor.com. Advertise in your local newspaper. Place your home on your local MLS (Multiple Listing Service) online advertising. 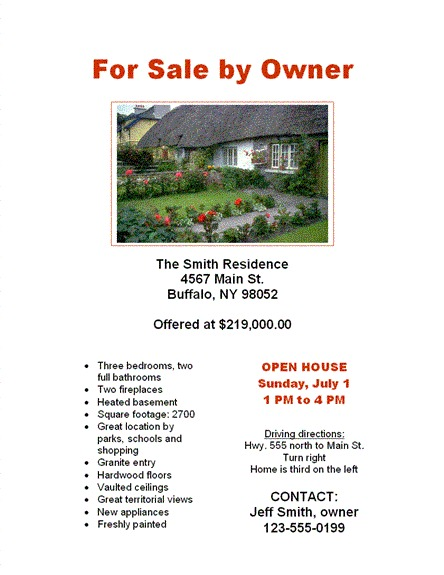 Place flyers on your neighbor’s doors and in surrounding neighborhoods a few days before the open house. They may know someone who is interested in moving to your area. Who should host your open house? When Realtors do open houses, they don’t want home owners to be present. Why? Because buyers can't express themselves freely as they tour a home and will feel uncomfortable if the owners are there. House hunters need to be able to visualize themselves in your home, which isn’t possible with home owners lurking in the background! This is why you need to find someone with an outgoing personality and professional demeanor to do your hosting for you. 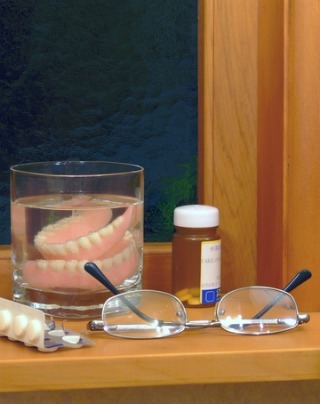 For safety reasons, you should have at least two people running your open house. Find people you trust who can maintain a professional demeanor. It’s a good idea to do guided tours when you have strangers in your home. One person can be the door greeter while the other guides people through the house. Your open house hosts should know the particulars of your home and be able to answer questions. If they can’t answer a question, a good response is, “I don’t know the answer, but I can find out and get back to you.” This gives them the opportunity to take down a potential buyer’s phone number or email address. The house must be decluttered and spotlessly clean, top to bottom! Find someone to watch your pets for the day. You don’t want dogs barking and jumping up on the visitors! Take litter boxes out of the house…they are a real buyer turn off. Hide valuables, medications, credit cards, cash, jewelry, mail, spare keys, etc. Depersonalize by removing family photos, religious articles, pets, offensive posters, the art gallery on the fridge, certificates and trophies. Edit out excess furniture. Most people could lose 1/3. Stage your furniture and remember to watch out for traffic flow. Don’t forget about the garage. Clean up grease spots on the concrete and organize the garage. Prepare a sign-in sheet for guests to fill out their name, phone number and email address. Many people are uncomfortable giving their personal information and won’t do it. Your goal is to get contact information so you can call or email interested buyers, perhaps making a home sale! At least two hours before the open house, set out your signs with directional arrows at the nearest busy street, intersections, and at each corner leading to your house. Be sure to turn up the heat if the weather is cold. A warm house will help visitors linger, rather then dashing back to their cars to warm up! Let in natural light by opening all the window curtains and blinds. Turn on the lights in every room to dispel any gloom. Clear kitchen and bathroom countertops. Stash bathroom and kitchen appliances out of sight. Polish stainless steel appliances. Empty all the garbage cans inside the house. Try to hide the outside garbage can. Close all toilet seats. Freshen bathrooms with new towels, a basket of soaps, etc. Wash the mirrors and polish metal surfaces. Hide all evidence of daily life; dingy bathrobes, wet towels, dirty laundry, bathroom toiletries, mail, shoes, jackets, toys, etc. Fresh flower bouquets and live plants will add life to your home. Place flowers on the dining room table, kitchen countertop, living room side tables or in the master bedroom. Make every bed in the house. Place a bowl of colorful fruit on the kitchen countertop. 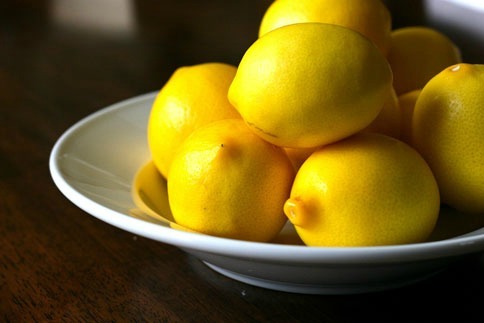 Lemons, oranges and limes are always beautiful and very feng shui. Sweep the front porch and make sure there is a clear path to the front door. Set out refreshments, like cookies, a fruit or vegetable tray with dip, bottled water or coffee. If the weather is cold, hot apple cider is always welcome. Be sure to include napkins to discourage smudge prints all over the house. Your home should smell good, but avoid artificial odor treatments—most people hate them. Savvy buyers are suspicious of freshly baked cookies or cinnamon simmering on the stove. The best trick is to present a clean house. Crack a few windows for fresh air. Set out your informational notebook near the refreshments for viewers. Remove cars from the driveway on the day of the open house. Greet each guest with a smile and thank them for coming. Hand each person a property detail sheet, tell them the square footage of the home, the number of bedrooms and baths, about any improvements and point out the best features of the home. 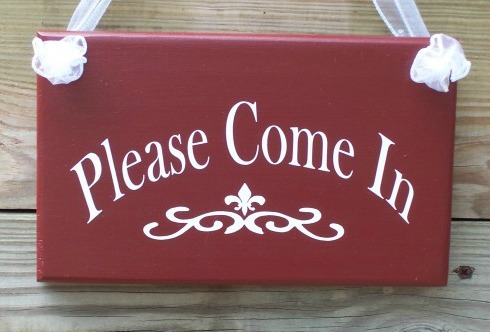 Tell visitors to feel free to tour the home at their leisure and offer to answer any questions they may have. As guests leave, ask them for feedback on the house, the positives and negatives, their level of interest in the home, and about other homes they've seen and how the home is priced compared to others on the market. The day after the open house, send a "Thank You" email to everyone who attended, with a link to your online ad. Within the following week, call or email each person and ask if they have any questions about the house and if they are considering it. If not, thank them for attending.